How did you like it so far ? 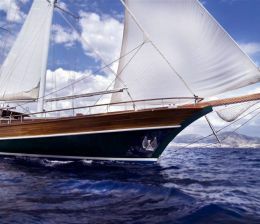 Well, if it sounds great then how about a Gulet rental called “Crewed yacht charter in Turkey” on a pure Mahogany sculpture yachts called Turkish Gulets, which are completely custom made of special hard woods, hand crafted wooden yachts in Turkey. The intimacy between mediterranean sea and the nature, the ancient civilizations of three thousands years with classical arts and mythology creates exciting new adventures in your soul, Furthermore the exotic colors and smells in each and every where you anchor. Crewed yacht charter bodrum and the neighbouring greek islands in the eastern Mediterranean is a privileged holiday away from the daily routine, much more refreshing than any other holiday you have spent before. There is literally no better way to relax and feel what life is all about ! Freedom in the middle of turquoise blue waters to enjoy and share with your loved ones and friendly yacht crew serving you around , just feel the peace and serenity while you are having crewed yacht charter vacations on board your private yacht charter in Turkey. Turkish cuisine is considered to be one of the best cuisine in the world, enjoy delicious Mediterranean, middle eastern, Turkish, Greek, French. italian food and exotic flavors. enjoy a glass of Cappadocian wine or Turkish raki (lions milk) and let the unforgettable moments pass and spend some time with your loved ones, Show them that you have a real taste for romance and fantasy on board a Turkish Gulet. 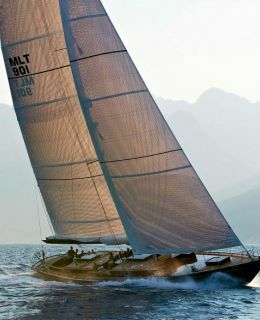 Our crewed yacht charter in Turkey services include Mega yachts charter, Motoryachts, Luxury Turkish Gulets and crewed sailing yachts. We are specialized in yacht for sale as brokerage, for pre-owned, second hand and/or newly built yachts, motor sailing yachts also known as Turkish Gulets of all sizes. 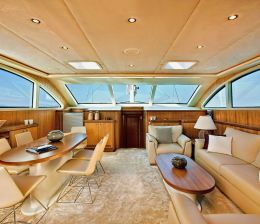 motoryacht as well as custom design and built yacht construction.